In planning your ACT prep, you probably want to know how long you need to study. Is it weeks or months? Is it dozens of hours or hundreds? The answer to these questions depends on a variety of factors, including your target score and how comfortable you already are with the test material. There’s no reason to torture yourself with endless studying if your scores are already in the right range for your top choice schools. On the other hand, if you're still pretty far away from the scores you want, you may have to work harder than you think. In this guide, I'll show you how to figure out how much you need to improve, how many hours you need to spend to get there, and how you should build a study schedule before your next real ACT. Your ACT target score is the score you're aiming for that'll be high enough to get you into your top schools. You can download this free guide to calculate your target ACT score. You can also check out this article for a quick look at how to find an appropriate target score for your goals. The easiest way to determine a target score is to Google your top choice school and “ACT scores.” You should be able to find a 25th percentile score and a 75th percentile score for the school. The range between the two represents the scores of the middle 50 percent of admitted students. Aim for the 75th percentile score (a higher score than 75 percent of the school’s admitted students) as your target to make sure you have the best chances of acceptance! Here's a link to five free printable ACT practice tests, complete with answer keys so you can grade them yourself. Take one of these practice tests so you can see where you are relative to your target score. When I say to take a practice test, I don't mean answer questions for a section casually throughout the day while watching YouTube videos in the background. Really force yourself to live the experience of the ACT as it is in the actual test environment. Set aside a weekend morning and go through each section with the same constraints you would have on the real test. Why should you subject yourself to such torment? Because it's the only way to get a good estimate of where you stand in relation to your target score. Time pressure is a huge factor on the ACT, and it can impact your score significantly. Furthermore, going through all the sections in a row forces you to account for any fatigue you might experience on the later sections of the test. If you already know your starting point scores from a previous test or practice test, great! As soon as you settle on your test date, you'll be ready to cook up a study plan. 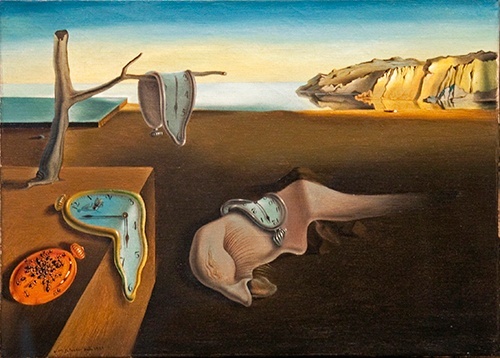 A bitter Salvador Dali painted this to try and convince himself that time was a meaningless construct after he ran out of it on the ACT. We recommend taking the ACT for the first time during your junior fall in our Complete Study Plan. That way you'll be able to retake the test in the spring if necessary, and you'll be free to devote your senior year to college apps and devising elaborate senior pranks. If you're already coming up on senior fall and have to take the ACT in September or October no matter what, that’s OK too. Either way, you can find a study plan that works for you. Keep in mind that this is just a rough estimate of the hours you will need to put in to improve your score. If you want to improve 0-1 points, you'll probably be able to accomplish your goal with light review, a single practice test, and a retake of the official test. As you can see, the time you need to devote to studying if you're hoping for improvements of more than a few points is pretty significant. If you want to improve by more than 4 points or so, you'll have to do some in-depth content work to address gaps in your knowledge. The ACT tests a lot of different concepts, so it can take a while to cover them all. This is why an earlier start is better. Ideally you should start studying sophomore year to space out your hours and gradually gain familiarity with the structure of the test. Everyone has different study habits and restrictions on time, so you should further customize your plan while keeping these hour estimates as a baseline. Try doing some focused studying for an hour or two every week for however much time you have before the test. If you start at least a few months beforehand, you won’t be overwhelmed with yet another commitment, and you will gradually gain familiarity with questions while learning to avoid the silly mistakes that are costing you points. Two hours a week of studying for two months is a good general goal if you are closer to the test date. If you have four or more months before the test, you could try just an hour a week. Six months of studying for just an hour a week = 26 hours of study time! Unstructured time is hard to manage, but it also means you can choose to study whenever you are most comfortable and least distracted. If you schedule out an afternoon each week when you will focus on studying, a few months may be enough to improve your scores. The chart above recommends around 80 hours of studying for a 5 point improvement. If you have three months to study, that comes out to about five hours a week. Scenario 3: I Want to Improve by 8 Points or More. Am I Crazy? No, you are (probably) perfectly sane! You may want to start studying earlier to catch up on the stuff you’re missing, but it’s doable if you're willing to put in some serious time and effort. If you still have six months before the test, think about which day of the week you will be least stressed by other commitments and schoolwork, and set that afternoon/evening aside for studying. Block out five hours a week for six months in advance of the test, and you should start to see significant positive results. If you have the resources to hire a tutor, this is when you might consider doing so. The advice of someone who has experience with the test is usually helpful if you feel like you are lacking in fundamental knowledge. 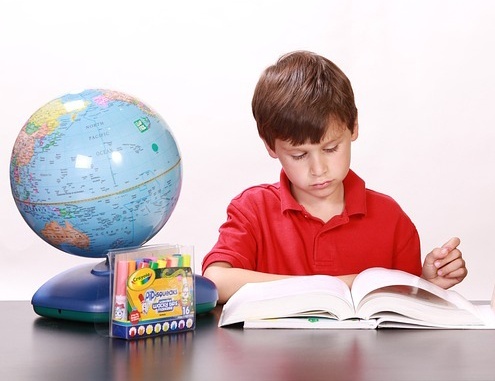 Make sure you bring everything you need for the real ACT to your study sessions, including wacky markers and a regulation diameter globe. You might have special circumstances that mean you need to customize your study plan more drastically. Some people should study for more or less time based on past experience and time management skills. You've already studied a lot, and you haven't seen much improvement. This might mean you need to switch up your strategies in addition to studying more. Take an objective look at how you've been using your study time so you can make productive changes. You're easily distracted. If you're spending a large chunk of your study time framing the perfect snapchat of you making a sad face with your ACT materials, you have a distraction problem. Try blocking out more time, and put away electronic devices while studying. It takes a while for you to learn from your mistakes. If you need to practice answering questions a few times before you understand your mistakes fully, you should consider studying for longer periods of time. You're new to the ACT. If you are someone who has barely looked at the test before and just started studying, you'll see larger score gains in a shorter time. You're a super focused studier. What might take another person two hours to process will take you one, so consider dialing back your study time. You don't want to overdo it and end up with test fatigue. You learn quickly from your mistakes. If you never make the same mistake twice, you also shouldn't go overkill on studying. You probably only have to get the wrong answer once before you can rely on yourself to answer similar questions correctly in the future. You can formulate your ACT study plan based on your goals and the statistics for your top choice schools. The key is starting early! Give yourself more chances to excel. Figure out your target score, take a practice test, and decide how much you need to improve. 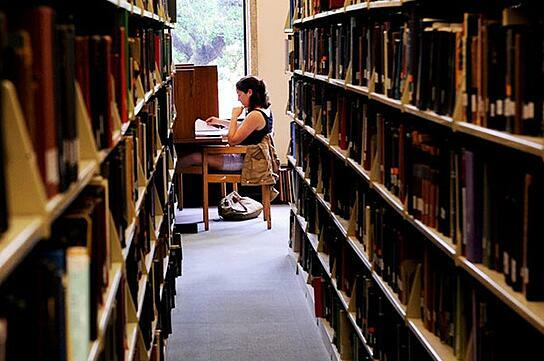 Determine a realistic number of hours you will need to devote to studying based on your goals. Space out your studying time over the weeks leading up to your test date. Continue to take practice tests to evaluate the effectiveness of your studying and make sure you're on track. Check out our Complete Plan for when you should start studying for the ACT. This will give you a more comprehensive view of how to structure your time including what's tested, when you should take the test, and sample score goals for different levels of college selectivity. Also, take a look at our guide for how to review missed questions on the SAT and ACT. If you can learn to effectively review missed questions, you will be a much more productive studier! Want to get a super high ACT score? 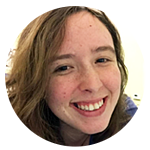 Check out our guide to getting a perfect score on the ACT, written by a perfect scorer.